Legislative Breakfasts provide an opportunity for Chamber members to meet our Congressional, State and County elected officials and to hear about issues affecting the community and specifically the business climate. These events draw area business leaders as well as local municipal officials. 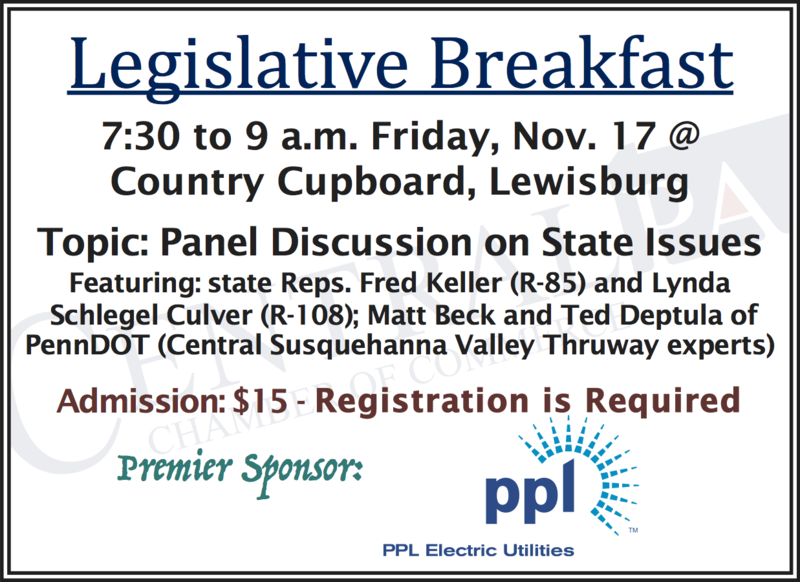 Topic: Panel Discussion on State Issues – Featuring: state Reps. Fred Keller (R-85) and Lynda Schlegel Culver (R-108); Matt Beck and Ted Deptula of PennDOT (Central Susquehanna Valley Thruway experts).